Craig is originally from Northern England and has been practicing yoga and meditation since 2007. 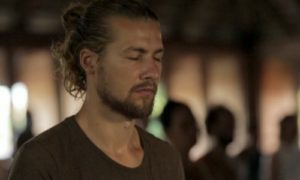 During his first 10-Day Silent Meditation Retreat with Sahajananda in 2010, Craig experienced a deep peak experience that changed his life. During the practice of meditation he felt like his chest was being ripped open and an endless stream of love and compassion flowed from his heart. Since that time, he has aspired to be a Hridaya teacher and he completed the Hridaya Teacher Training Course (HTTC) in December 2013. Since 2015, Craig has been the HTTC anatomy and physiology teacher. 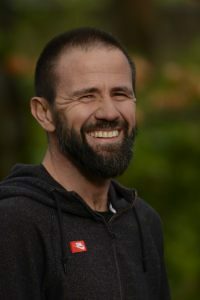 He has an extensive professional background, with over 20 years’ experience in exercise physiology, professional sports coaching, high-performance life coaching, yoga and meditation teaching, and many other areas within the holistic health field. He has combined his knowledge of the physical body, especially movement and injury prevention, with his knowledge of the energetic, emotional, mental, and spiritual realms. He is an expert teacher who uses many different media to optimize student learning. His classes are always fun and playful. He also works as a high-performance men’s coach, combining his vast knowledge and experience in the physical, emotional, mental, and spiritual realms. He offers retreats, private coaching, men’s circles, and public talks related to masculinity and male performance enhancement. Find Craig on his company website: craigwhitecoaching.com.